Some places are worth all the uphill hiking in the world, and the Calanque d’En Vau is one of them. 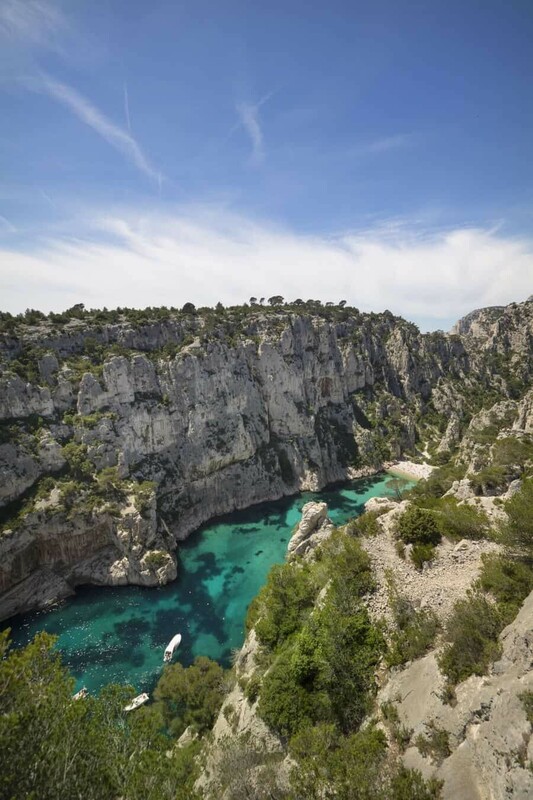 If you find yourself in the south of France and want to explore one of the most beautiful sites in the country, grab some joggers, camera and swimmers then head to Cassis. A colourful fishing port just east of Marseille, Cassis is where you can begin exploring the Parc National des Calanques. Okay so first up I know what you’re maybe thinking…what the hell is a calanque? Exactly my thoughts when I moved to France! A calanque is a steep walled inlet found along the Mediterranean coast and is known for white rocky cliffs descending to clear teal seas. The scenery is a dramatic palette of blues, greens and whites all blending together under the sunny skies of Provence. 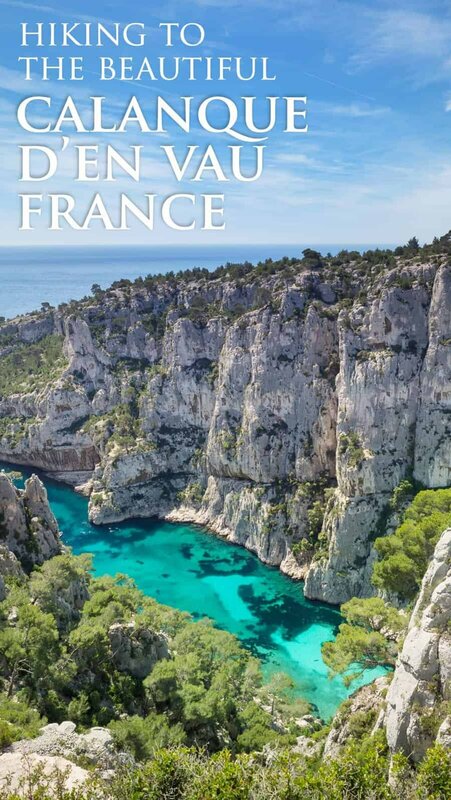 Between Marseille and Cassis you’ll find a 20km coastline home to a number of calanques that can only be explored by foot or by sea. The most beautiful of them all? Calanque d’En Vau. Hiking to Calanque d’En Vau takes roughly two hours from Cassis Harbour, or alternatively I strongly suggest you begin at Port Miou. There’s a large outdoor car park here where you can pay 8euro and leave your car for the day while you explore the calanques. It means a whole lot less walking and you skip any unnecessary walking down streets, you’ll kick things off right from the waterfront and cut about an hour from the hike. 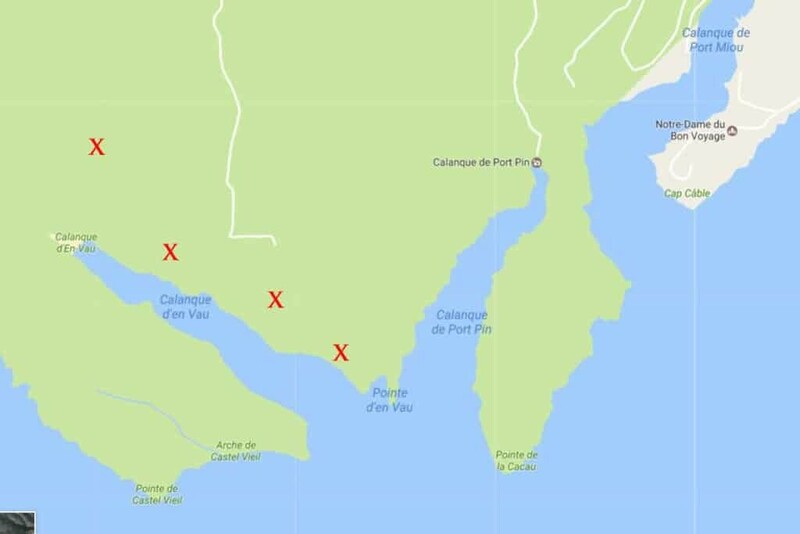 Here’s a map that shows the hiking trail – please note this map shows the route to the beach at Calanque d’En Vau, if you’re hoping to capture the views from above, stick to the coastal path from Calaque de Port Pin…I’ve explained more in detail below. From Port Miou the path leads alongside the long and skinny harbour filled with sailing and speed boats. Once you hit the slight incline at the end of a long flat section, that’s where the hiking really begins. The hiking trail uses a colour coded system (as seen in the image above) and you’ll see painted stripes on rocks that let you know you’re heading in the right direction. From Port Miou follow the white and red stripes. If it’s a warm day you’ll start second guessing your decision to do the hike once you’ve made it to the top of the first hill…or at least I did! The path starts to get a little hazardy with slippery stones and an uneven track but if you’re not prone to tripping over, it’s totally fine. About 20-30minutes into the hike you’ll arrive to the clear waters of Calanque de Port Pin, a welcome little cove that’s a good place to take a break. Popular during the summer months, here you’ll find people picnicking, sunbathing and swimming, more than likely perched from the beach all the way along the rocky shores. 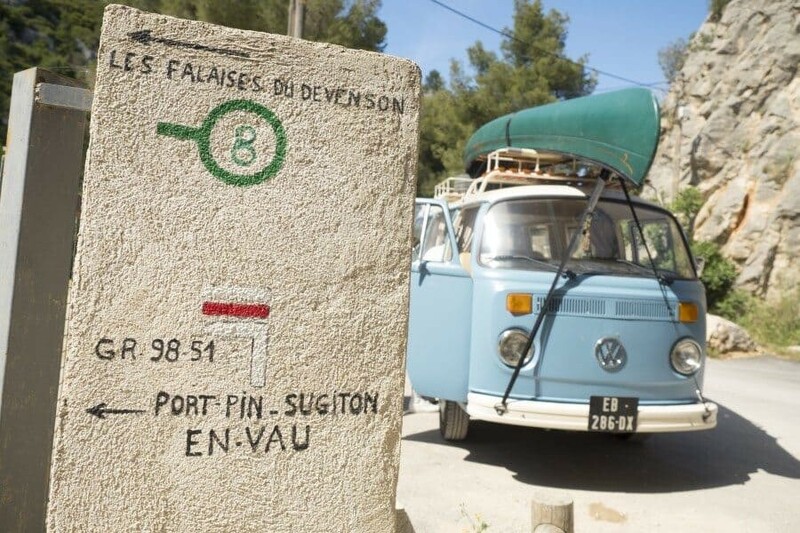 Once you’ve caught your breath there’s two options to get to Calanque d’En Vau. You can continue on the white and red path which is a more direct route straight up through the bushland, or you can follow the blue route. More scenic yet a little longer, the blue track hugs the coastline making it much more motivating once you start heading uphill. My suggestion is to head straight up on the white and red track then wander back slowly along the coast on the blue path! If you do take the direct route, once you arrive at the top you’ll probably find it’s a little confusing. It feels like you should be looking down over the calanque however you’re looking out to a horizon of more rocks and trees as far as you can see. Again, here it’s more or less a fork in the track and you’ll have two options. Head left for the magnificent views looking down over the Calanque d’En Vau, or walk right and make your way down into the calanque if you’re keen to go for a swim and explore from the sea. It’s roughly 30-45mins to get down into the calanque and obviously a lot longer to climb back up…by the way I’m purely judging these hiking times on my personal speed which is a best regular. I’m no speed walker that’s been proven again and again! 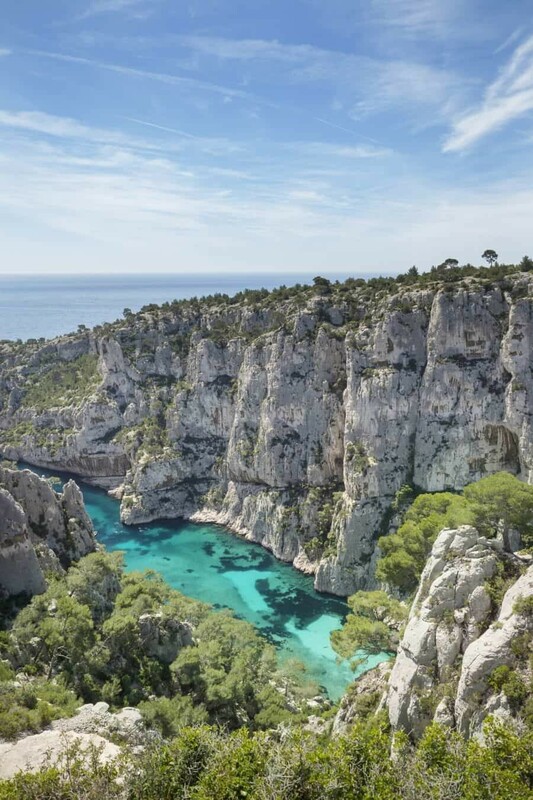 Where to get the Beautiful View of Calanque d’En Vau? Head for the sea and you’ll start to witness the glimmering water beneath you. If you’ve taken the inland route from Calanque de Port Pin, turn left at the top and wander along the cliff edge until the beauty reveals itself. There’s a number of natural rocky platforms to sit on and gaze down into the calanque below. It’s a great place to take a break and have a picnic, we ended up finding a big flat rock that leant out from the cliff edge which provided the most incredible view for lunch! Hiking Time: Allow up to three hours to do the return hike and a little bit more if you want to soak up the sea and jump in the colourful waters for a dip. Depending on your level of fitness and the temperature on the day you hike, it’s definitely possible to do the hike faster. If though you plan on photographing the calanque give yourself plenty of time because it’s seriously photogenic and it’s a little hard to walk away from. The best vantage points of Calanque d’En Vau are maked with a red x. The track weaves a little so it’s hard to pinpoint exactly however anywhere along this side of the calanque will offer a view down to the sea below. The cliff opposite is very popular with rock climbers adding an extra subject to photograph! It’s important to start your hike early because once the afternoon begins shadows start to creep over the calanque. I recommend starting out around 10am from Port Miou which will mean you arrive to Calanque d’En Vau at around 11am, giving you plenty of time to capture all the colours with a strong overhead sunlight. 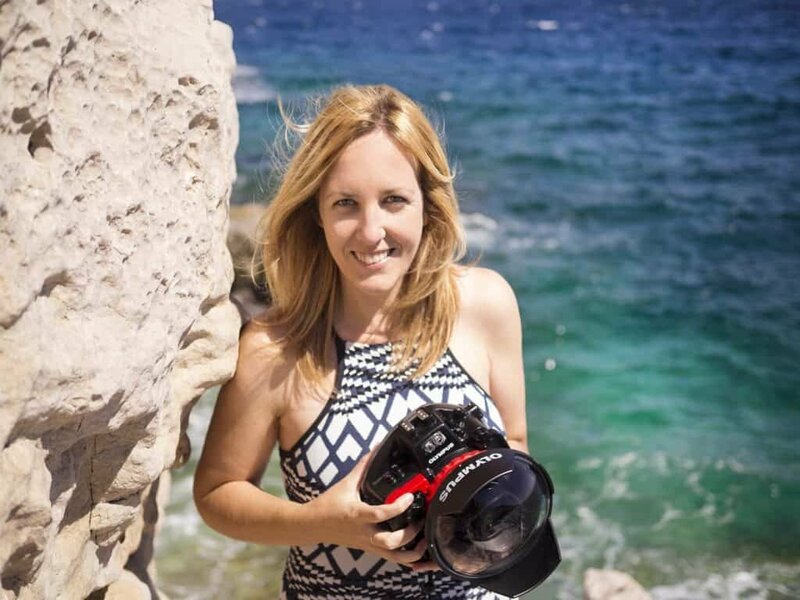 From above the sea will start to sparkle in the afternoon light so be sure to take a polariser if you’re hoping to minimise any unwanted glare. The images in this post were taken using a lightweight (great for hiking!) Olympus OM-D E-M1 Mark II camera paired with my M.Zuiko 12-40mm PRO 2.8 lens and I didn’t opt to use a polariser. 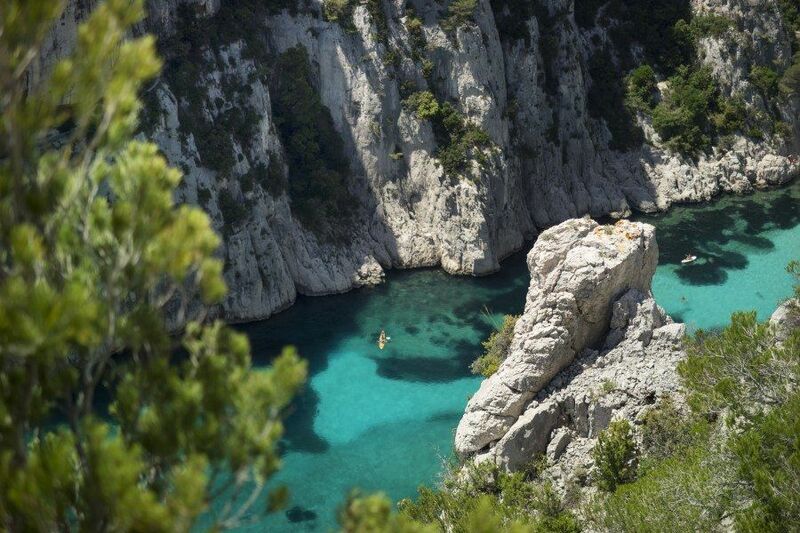 The Parc National des Calanques are best explored between October and June. 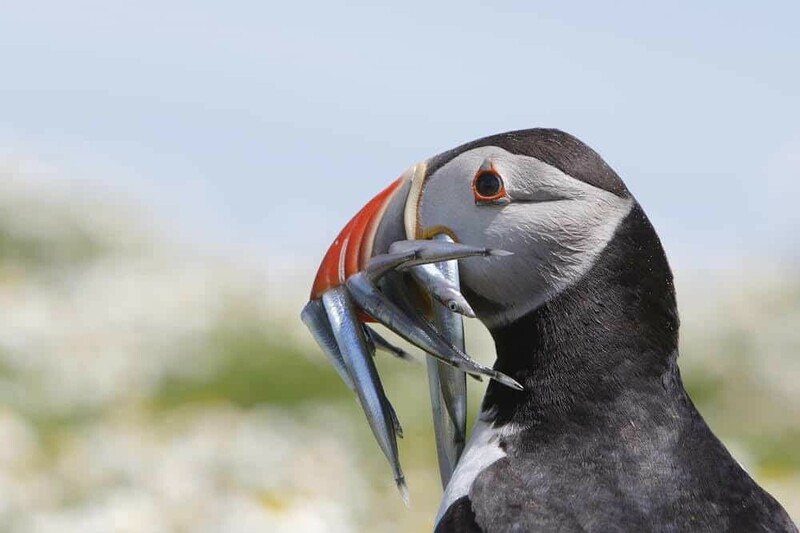 If you’re hoping to swim definitely plan your trip for either early October or May and June when the sea will be warm enough for a dip. 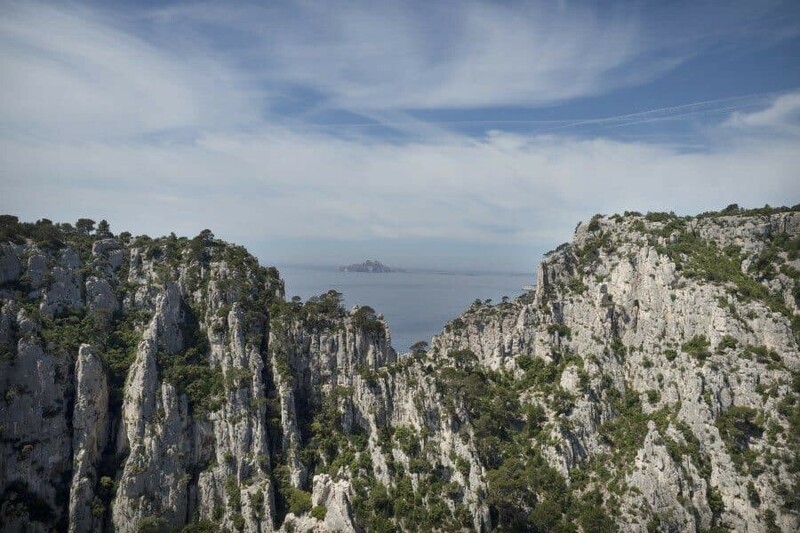 Over the summer months of July to September, the hiking tracks to the calanques may be closed due to the risk of fire depending on the conditions and heat. 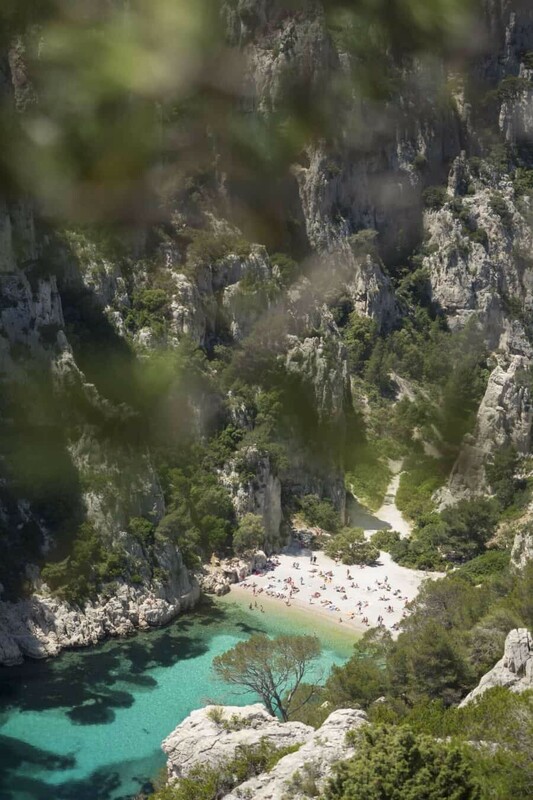 If you’re planning on visiting any of the other calanques accessible by road, you may also find there are restrictions in place limiting how many cars are allowed, or that the roads are closed to all traffic. 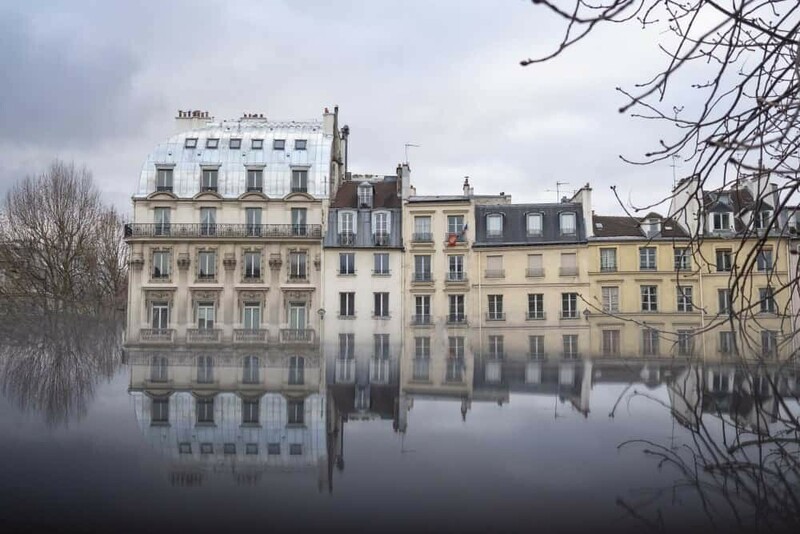 If you happen to be visiting during summer there are of course alternatives, it means less walking and a different perspective! 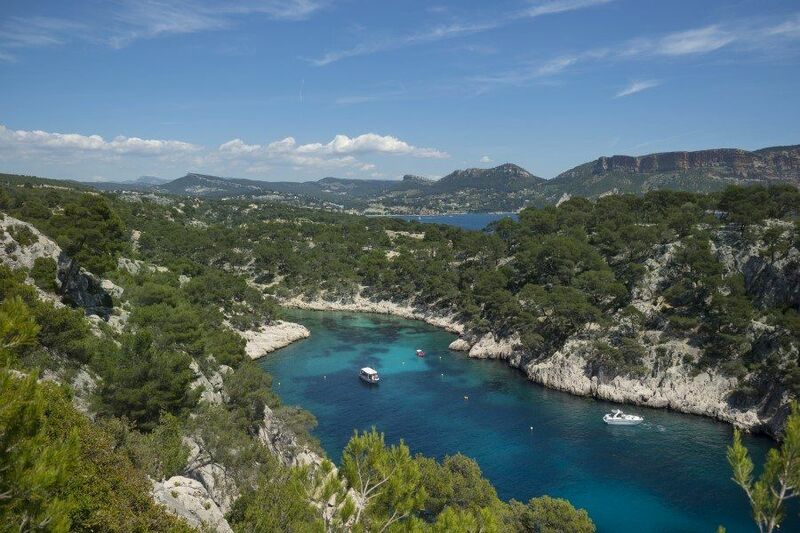 You can take a boat from Cassis or Marseille and arrive to the calanques by sea. While it’s not possible to get off the boats, you’ll still see the impressive and steep cliffs rising from the sea. 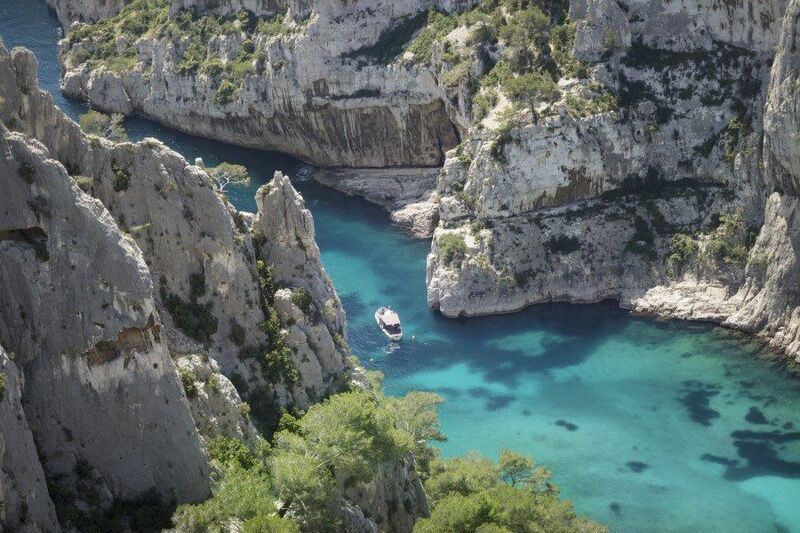 To find out more about visiting the calanques by boat you can visit the Marseille Tourism website here. Here’s a collection of photos from our hike last weekend. As I mentioned above, we started the hike at 10am and I was capturing these images from roughly 11am-2pm because I couldn’t tear myself away from the views….must. keep. clicking. Omg my heart skipped a beat, the color of the water is just beyond words. Love the different shades of blue 🙂 thanks for including the maps, such a useful article for when I’m in the area! Also impressed by your photography skills! Oh my goodness, what a stunning part of the world! It would definitely take me longer than 3 hours, I’ve been known to stop and take wayyyyy too many photos haha! Wow I never knew there was such beautiful hikes in France. This is a definite game changer. It looks incredible there! This is spectacular! thanks for your photos and information. We are coming in July and would like to see some trails. Is this possible? What do you recommend? We would like to swim in the cove if possible. after seeing the national park we would like to go to a beach; what do you recommend? Is bus the easiest transit? 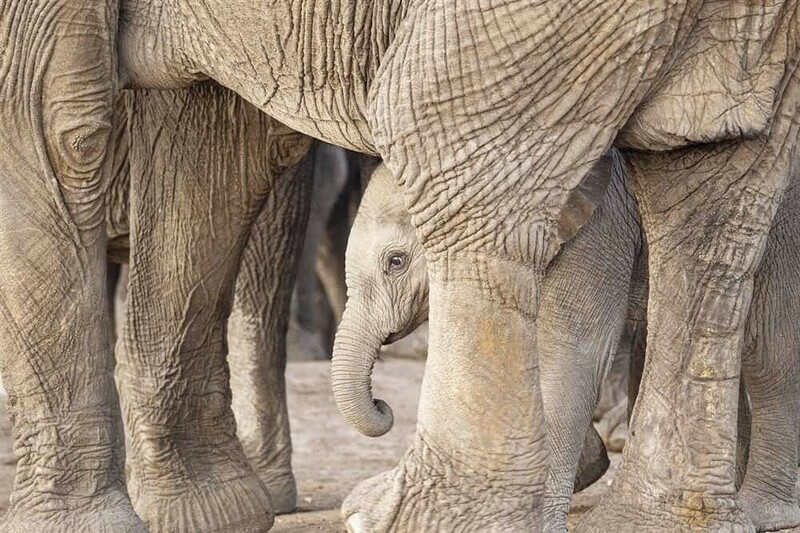 Hi Cindi, great to hear you’re visiting in July! 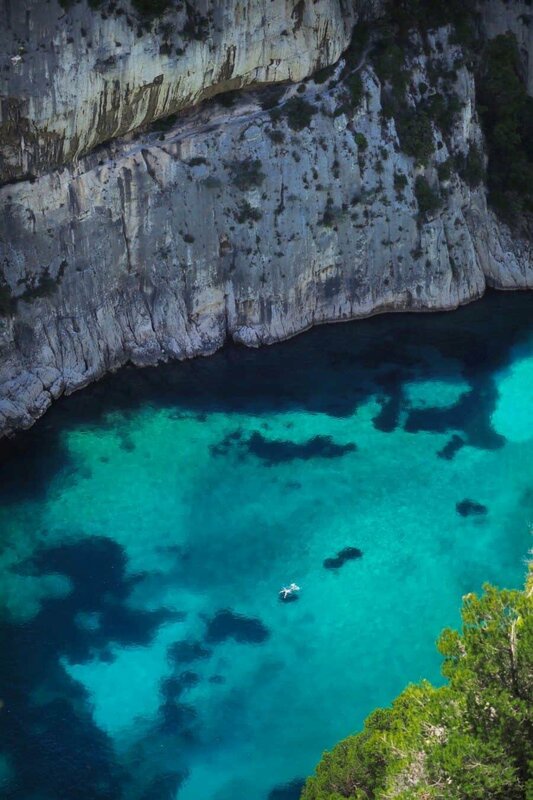 It’ll be beautiful and warm, perfect for swimming in the chilly calanques. The tracks are closed when the weather has a potential fire risk so in July due to the warmth there’s the possibility they may be closed. 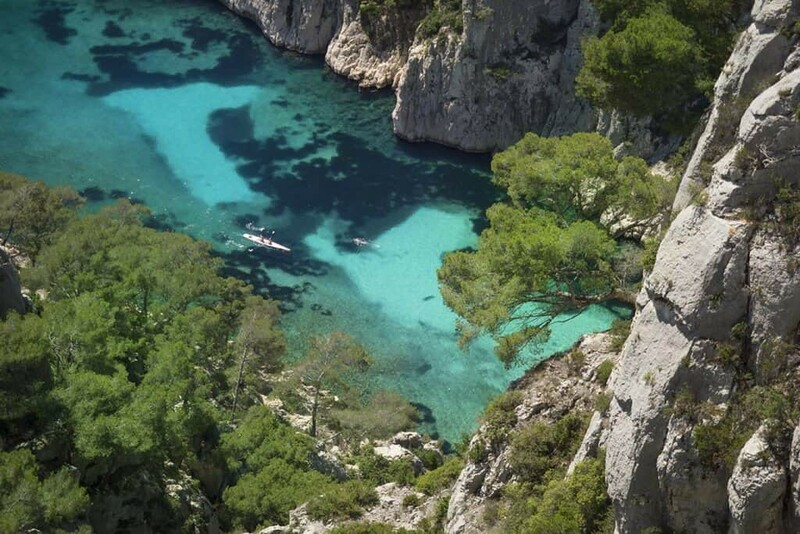 That said, you can definitely kayak from Cassis to the calanques and then swim once you arrive…it’s absolutely beautiful in there! There’s a beach at the end of Calanque d’en Vau otherwise the public beach at Cassis is great too, when you hire kayaks they depart from the main beach right near the Tourist Information Centre and port so it’s super central. Based on your journey, would you recommend to bring a 21-month old baby (using a baby carrier) to this place? With a baby carrier yes however the rocks can be difficult to walk over so it could be a bit tricky at times, I’m not sure I could carry a 21mth old on my own to the top. Also just be mindful that at the top of the hike the drop off when looking over the calanque is very steep so I’d personally keep bub in the carrier for most of the time. Down at the beach and also at the Calanque de Port Pin it’ll be easier for your baby to crawl around safely. 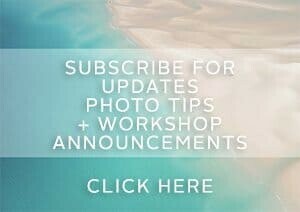 gorgeous photos!!! I’m planning a very spontaneous trip to France, in mid October, to meet my 19 yr old son, and have come across your site, and have to say I love it. Being an Aussie from the northern beaches of Sydney, I’m drawn to the coast and can’t believe how stunning this area is. 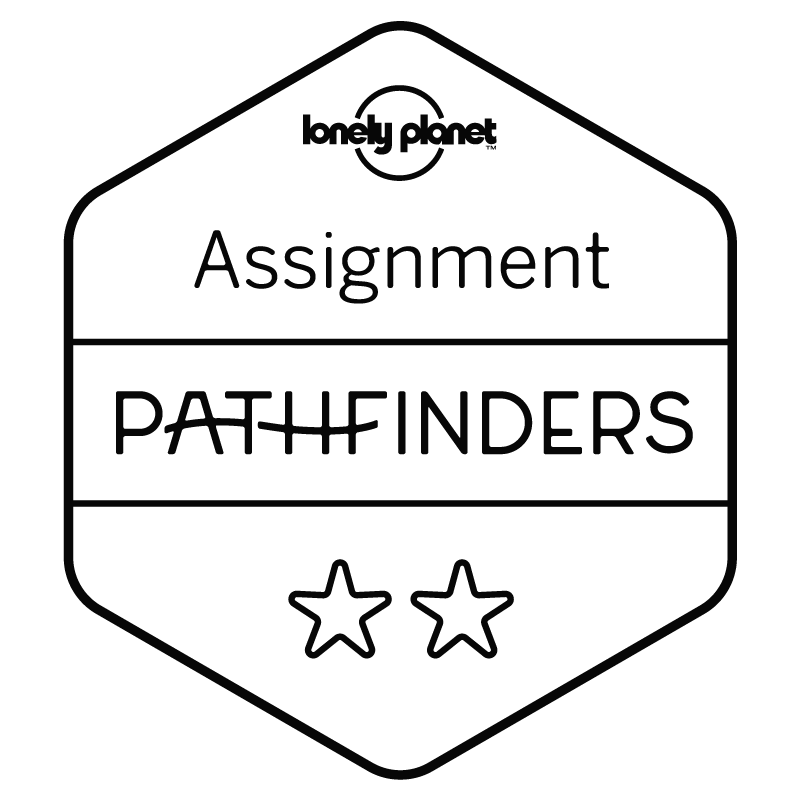 I was planning on spending 4/5 nights in Cassis as our base, and was wondering what your opinion was in doing day trips up to the Luberon villages from there? We could split our time 3 in Cassis and 2 in one of the villages? wish we had more time… I’d truly appreciate your opinion, given you’ve lived in this area.